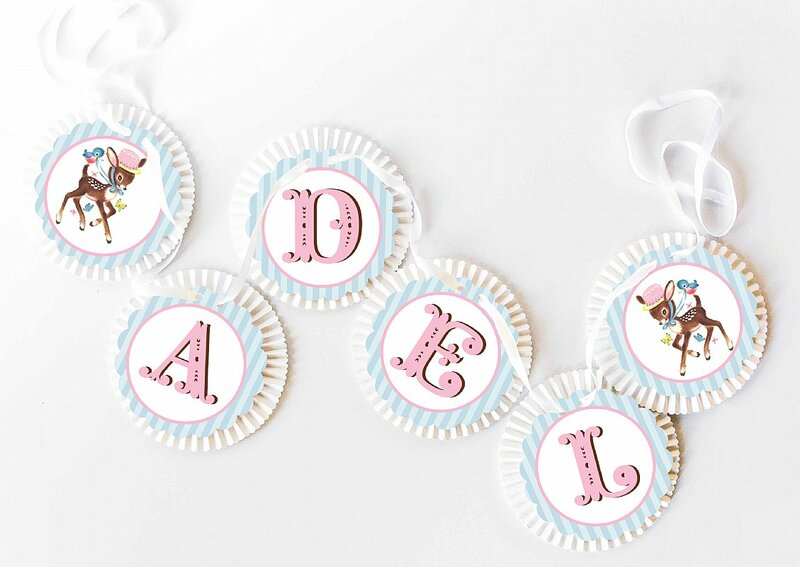 This beautiful rosette banner is perfect for a little girl's party or bedroom decor. It includes thick-cardstock scalloped medallions adhered to luxurious large rosettes. The standard banner reads "HOORAY" with a fawn image on either side, or customize it with whatever word(s) or name(s) you choose. Each letter measures approximately 6.5" and the banner comes with 8' or more of ribbon.